From what you spend on new kicks, to what you splurge on when you’re out with friends or at your favorite resto, it helps to know your spending habits. Motivated by the necessity to manage people’s personal finances, founder and CEO Saeid Hejazi –who believes that behavioral economics can impact our financial literacy- and his team wanted to offer a simple and powerful tool that would let people enjoy life, while being able to keep track of their expenses. For a Dubai- based app that launched in 2013, the personal finance management app Wally has a lot of pull. After a positive response for their Wally iPhone app, the company says that they received a considerable number of requests for an Android version, which they developed and subsequently released as a newer version called Wally+. But with an abundance of finance management apps in the market, how is Wally+ any different? With a sleek and minimalistic UI, they match its aesthetic appeal with a “machine intelligence-led approach”, says Hejazi. “We believe in focusing on the experiences surrounding each expense we make.” Instead of just using graphs and pie charts to condense expenses, Wally+ utilizes “predictive logic” which allows the app to remember frequent venues and people with each expense. At the same time, users can also add photos (like of receipts) and notes to “track sentiments” and make us appreciate each data input. To help users further understand their spending and saving patterns, the app has also incorporated aggregated and anonymous data from the Wally+ community. “We use behavioral segmentation to compare users to people ‘similar’ to them- with similar demographics and spending patterns, to give users context into their financial behavior.” Though they’ve had updates since their first version, their core principle is still keeping Wally+ a “simple and intuitive” product that’s focused on providing users context to understand their financial patterns, while constantly developing and testing for better features. In fact, to encourage reviews, Wally+ has a “feedback loop” with users that allow them to easily communicate their disapproval of any new change or addition to the app. With this mindset, the app’s main challenge remains the struggle of balancing the team’s ideas with the suggestions of the users. 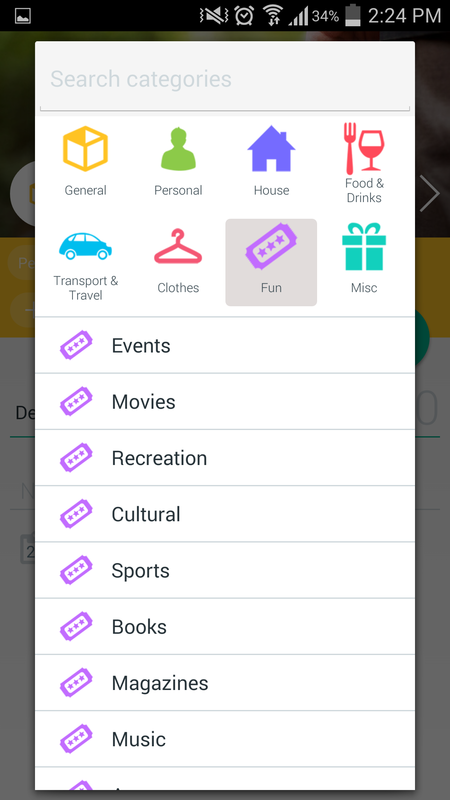 In terms of its user base, the app has gained the interest of millennials since they are more tech-savvy and finance-conscious, with -according to a Bayt.com survey- only 41% of millennials in the UAE attesting that they “live comfortably in their personal income,” while 31% say they’re “just getting by” on meeting different expenses based on their current income. For 2015, Wally+ plans to take their Android version out of the beta phase, update their iOS version and invest their resources for Wally+ to have better features and give more data-backed insights into us- ers’ finances. 82% of the users are between the ages of 18-35 years old, especially in India, Brazil and U.S.
6,000 people on waitlist to test Android app. 4.7/5 stars average from 187 ratings from the iTunes App store; 3.5/5 stars average from 817 ratings from Google Play. Initially bootstrapped, they now have angel investors and are getting ready to launch their first institutional round (series A). Freemium, although Wally+ will soon charge small fees for premium features for niche users such as currency conversion and family management tools.